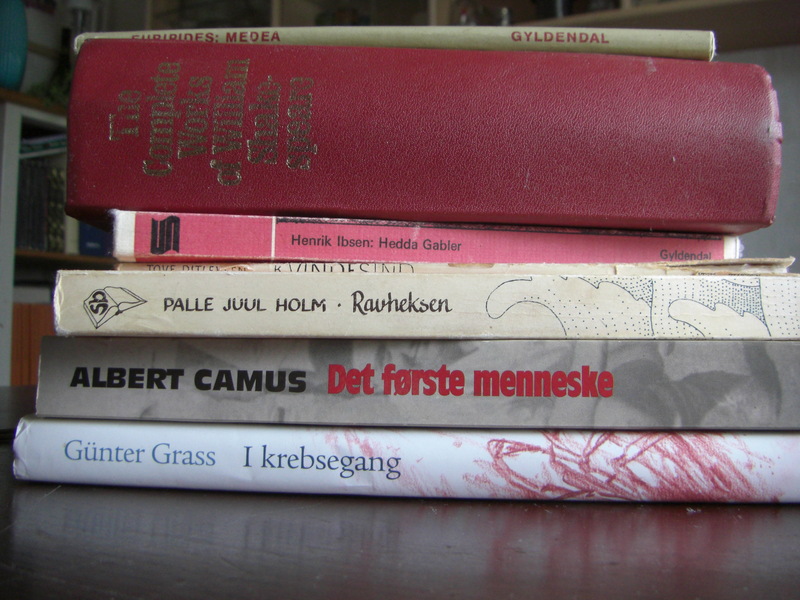 My holiday books are in a dead heat with books I have discovered in my mom’s bookshelves. 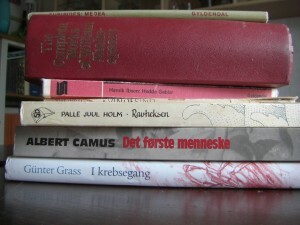 I could have told myself that books were not a necessary item to bring with me on a trip home, but I got greedy. The latest raid left me with seven books in each hand and three in front of me. But incredo-woman as I am in the field of literary vice, I am able to multitask, so this weekend I have been reading Herta Müller’s ‘Der Mensch ist ein grosser Fasan auf der Welt’, Virginia Woolf’s ‘The Waves’, and Euripides’ ‘Medea’. Three completely different books, both in style and theme, and all three keeping me on my toes. I finished the copy of Medea first – it wasn’t that long, so it was a good night’s read – which I found out both my mother and my uncle read in high school. As I was reading it, I thought about the famous line “Hell hath no fury like a woman scorn” (originally from W. Congreve’s play ‘The Mourning Bride’ from 1697, but often misquoted as a Shakespearean line, it goes like this: Heaven has no rage like love to hatred turned / Nor hell a fury like a woman scorned.) I also thought about how you often toss it out whenever a woman gets angry to disarm or delegitimize a miffed out female. In the context of Medea it is also relevant to mention that Fury is a female spirit of punishment in Greek mythology (The Furies (Roman mythology) or Erinyes (Greek mythology) in the Underworld punish the guilty, and are avengers of violations of natural order, among these kinship murder). The story of Medea in Greek mythology is this: deeply in love with the warrior hero, Jason, sorceress Medea agrees to help him in his quest as long as he promises to take her with him and marry her. As many mythologies go, there are a lot of hindrances and creatures with different divine powers to be conquered. 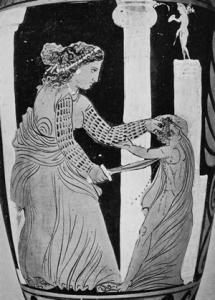 In the beginning of Euripides’ tragedy Medea, although now married to Jason, has been scorned by him in favour of the daughter of king Creon, in order to help his political status. So enraged by this treachery she wows to take a most gruesome revenge. 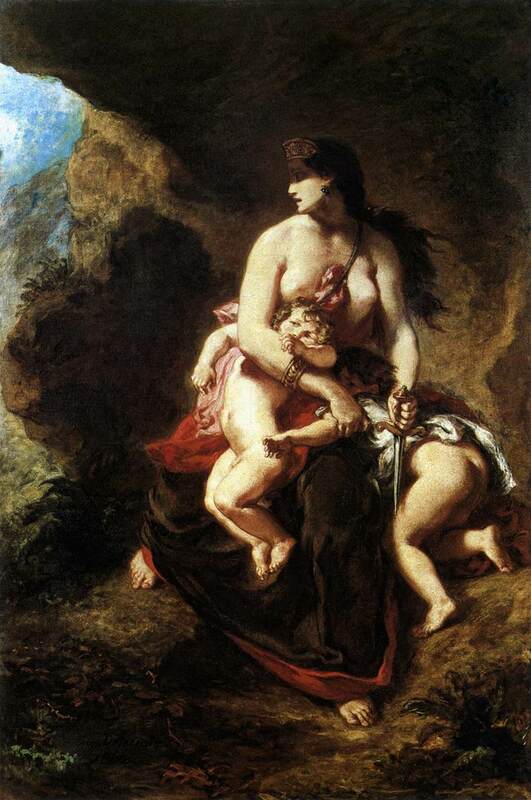 Medea is known and revered in the land as a wise woman, and Creon genuinely fears her retaliation, so he exiles her, but she persuades him to give her time to find a new haven. Unknown to him, she has just bought time to concoct a plan to hurt Jason by killing his daughter. Jason himself goes to her to smooth things out, the first time of no use, but on the second visit she leads him to think she has forgiven his actions and wants to give his wife to be a present of a dress and a coronet. In fact, she has poisoned the clothes and in the most horrific way Glauce (Creon’s daughter) dies. 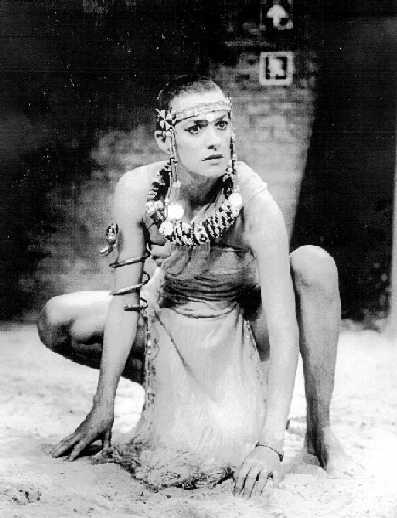 When Creon touches her he is also killed by the poison. Two down, two to go, as Medea has no intention of stopping here. In order to really get to Jason, she also kills off their own children. Scene from a South African adaptation of Euripides’ Medea. Performed by Jazzart Dance Theatre during 1994-1996. I like your post too, I’m doing a module on Greek Archaeology for my BA , but love Greek mythology and Literature. Your post is interesting and well-written, and I am off out now to get a copy of Euripedes Medea! Thank you so much for the kind words. If you like Medea, I also reccommend Sofokles’ Antigone.